You’ve Got Mail meets How to Eat a Cupcake in this delightful novel about a talented chef and the food critic who brings down her restaurant—whose chance meeting turns into a delectable romance of mistaken identities. "Amy E. Reichert writes like your best friend and reading her words is like having that friend whisper them into your ear. 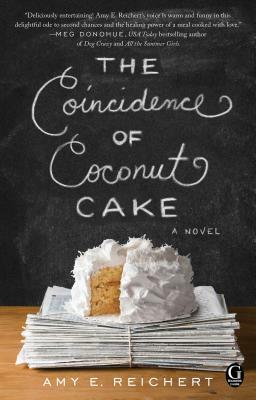 The Coincidence of Coconut Cake is a delicious story of food, love, and a wink at what people will do to have their cake and eat it, too." "This is a fun read peppered with dashes of humor, dollops of sadness and drizzles of sensuality."